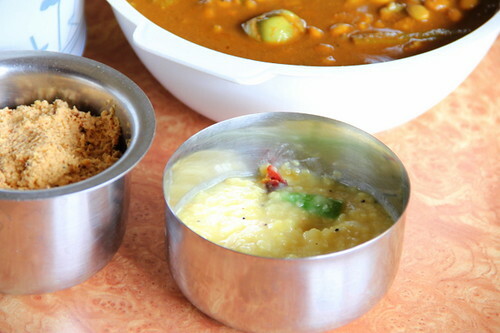 Spicy Chilly: Paal Pongal ~ 'The Rice and Milk Meal ' prepared for the Tamil Harvest Festival, 'Pongal'. Later in the evening I wonder whether the acne below my neck has developed into a keloid. I summon my teen son, look out for similar acnes and discover a keloid below his neck as well. He smiles and goes downstairs to continue his lessons. When I sit back my mobile gives a soft message beep. "Chill out ma! ....cool" I smile wide as he sneaks in the room with a silly grin and a warm hug! It has been one long month, away from my husband and my girl. I haven't felt so insecure when we four were together, though he has his hands full with own affairs with no much time us or my daughter in her own world with her studies and friends. Does family give us stress or relieve the pressure in us? Blogging had been the best stress reliever in me, for sure! Blogging drives the 'anxiety devil' too far that it dares to get back to me for some long time :)..anyway let me push aside the negative elements for a while and share the season's recipe with you! Pongal, the harvest festival is around the corner and I have already elaborated about how we celebrate the festival in our ancestral home. Now that my in-laws have shifted from village to the near by town, we have made the celebrations simpler. 'Pal pongal' and 'Sakkarai pongal' are associated with Pongal as you might know. The former is my family favourite which I make at least once a month. I had this in my drafts for quite sometime and thought of sharing with you. I don't have the step-wise presently but will update you soon with it! A large cooker of 6-7 ltrs capacity ( I use Prestige) which can accommodate a preferably large stainless steel vessel inside. We are going to cook rice and milk in it. We need such a large vessel (wide and tall) or else the would milk boil over while cooking. Method : Wash rice and drain. Transfer to the vessel and pour measured milk and water to it. Combine. There should be extra empty space in the vessel at least 4-5 times of the space accommodated by the rice and milk mix already in the vessel. This is to allow any boiling over. Keep a check on the flame anyway. Lower fire (only after the first whistle) if you find any further 'messy' whistles. Let it whistle for 5-6 times with a gap of at least 2-3 minutes in between. Put off fire. Let the steam vent off by itself. Remove weight and open the lid. A.The rice has cooked well and the milk absorbed. If you use real good newly harvested rice you may find unabsorbed milk accumulated at the top. Carefully slide out the vessel and drain milk with a rounded end ladle. Mash the rice adding salt. You can add the drained milk after mashing and stir to combine. Pongal gets thicker while cooling down. B. If you find the rice is cooked and the milk s all absorbed, mash the mix straightway. Blend in 1/2 to 1 cup of boiled milk after you are done . 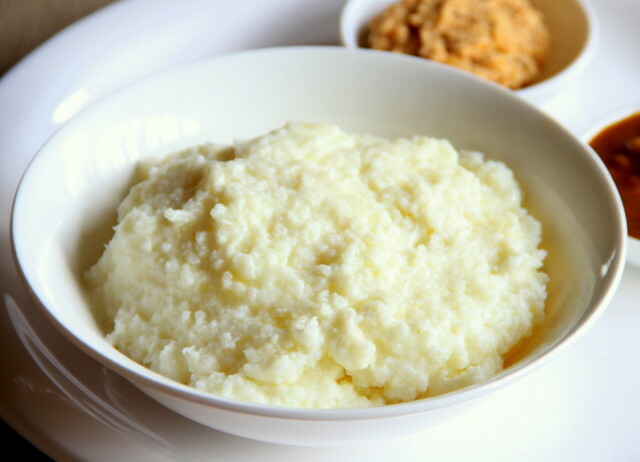 C. If you find the rice is cooked but is not hydrated enough and is too thick while mashing, it means you have used age old rice which has absorbed the liquid part completely. Add half a cup of milk or little more and mash comfortably. Add 1/2 - 3/4 cup more to attain the right consistency. So now, back to the Pongal affair my in-laws prefer 3 main accompaniments for Paal Pongal. 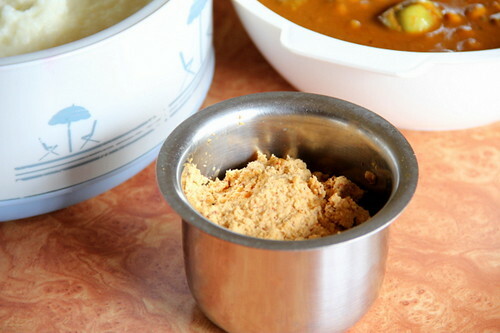 Kathirikkai Mochai Puli Kuzhambu or The tangy sauce made with dolicho beans and baby brinjals. Recipe is posted here. The piping hot pongal with all the richness of milk goes well with the tangy pulikuzhambu, hot coconut chutney and the mild seasoned dal. 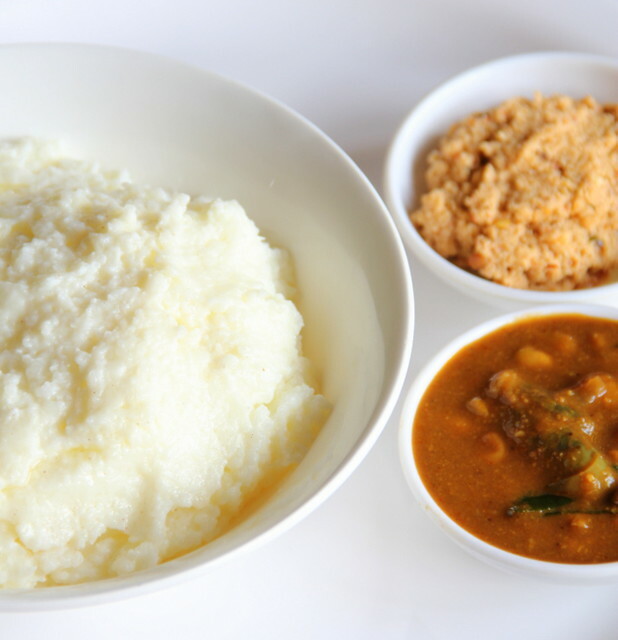 The combination is perfect and heaven for Pongal lovers! Wishing you all a Very Happy Harvest Festival! 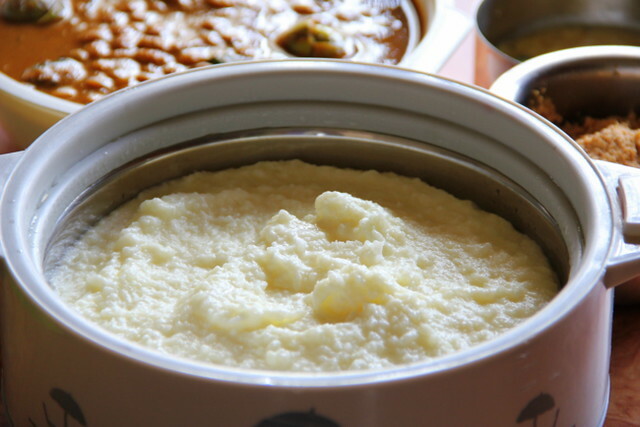 Delicious and yummy looking pongal . Wonderfully prepared. Never heard of this pongal. Looks good with all the accompanying sides. Regarding anxiety and stress...everyone has a fair share of it. You are not alone! 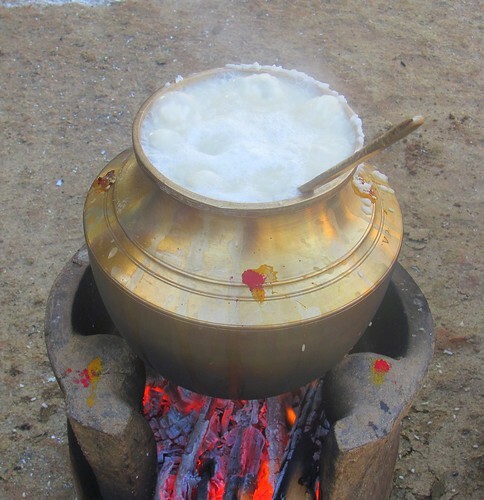 Take a break and enjoy Pongal! Relax dear. (If my husbby or daughters see this they will tell me to take my own advise;)) Take care. Enjoyed reading your blog. We in Kerala make the pongal with sarkarai. The combinations with milk pongal sounds delicious. The devil called anxiety gets us all. If you read the newspaper each day, how can you not be anxious. Good to be careful. It's crazy how kids grow up and start having their own lives. But they will always need you. Hopefully hubby is home and all is well. If you use online grocery shopping, why you never checked for organic food products?